Do you know if the Lexmark C543dn model will print in colour if it only has one print cartridge installed? I would be looking to print letterheads that would only require cyan ink and black ink. Purchasing the other toners would be prohibitively expensive and not of use if I'm only needing cyan. Thanks for your help. The Lexmark C543dn printer is likely to require that all four of the black, cyan, magenta and yellow toner cartridges are installed with remaining cartridge life in order for you to print in any colour. You should only need to replace the colours which run out so you should be able to leave magenta and yellow cartridges installed in your Lexmark C543dn printer and only replace the black and cyan cartridges regularly if these are the only two colours you use. How can I best recycle cartridges for the Lexmark C543dn and the older C350dn printer? Hi. How does it work using the Lexmark return program? How do you link my returns to my existing Lexmark rewards account? Many thanks, Chris. The Lexmark return program is ran by Lexmark themselves. We stock the return program cartridges but we're not involved in the scheme in any other way. As far as I'm aware the return program is a way of reducing the amount of cartridges going into landfill and also a way to keep the cost of cartridges down. Buying any new Lexmark C543-dn toner with us makes it possible for you to save a whole lot of time and expense. Considering our competitive pricing as well as our low price guarantee, you can rest sure of receiving the best possible deal for your Lexmark C543 dn toners. Furthermore, Cartridge Save will only will offer you Lexmark C543dn toner which are really high build quality and also low in cost so you'll have peace of mind with every order placed. You're able to spend less cash because of free overnight delivery for Lexmark toner. Start to save today when you buy bargain-priced Lexmark C543dn toner whenever you use Cartridge Save's store. Meanwhile, you may get your hands on this cheap Lexmark C543-dn toner by just contacting us on the orders line in person at a appropriate time. Don't forget that Lexmark C543 dn laser printer cartridges dispatched by Cartridge Save are also accompanied buy our no quibble cash back guarantee that allows you up to 12 months to claim a refund in the unlikely event that you're unhappy with a defective product. We give you one day delivery, reliable laser toners plus the cheapest prices. 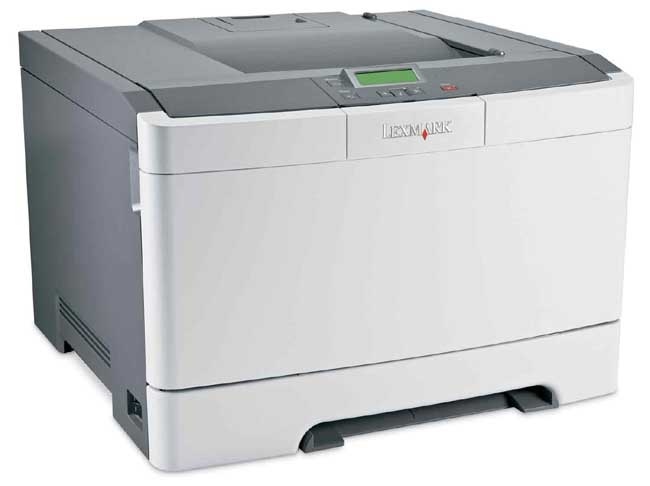 The Lexmark C543DN is a great printer for anyone who needs a colour and laser printer for workgroup applications. The Lexmark C543DN is able to print up to 21 pages a minute and has a maximum resolution of 1,200 dpi x 1,200 dpi. Another great feature is its ability to print out its first page in 12 seconds. The Lexmark can be connected to your PC using a high-speed USB connection and uses a 4,800 Colour Quality image enhancer to improve photo quality. The Lexmark uses a 417 MHz processor and 640 MB of RAM to handle multiple print jobs. You can even print cards, labels, plain paper, and transparencies. The Lexmark C543DN can hold a maximum of 900 sheets of paper and has a monthly duty cycle of 35,000 pages. In addition, this printer is energy efficient and has a volume of 47 decibels when fully operational. This printer is designed with simple appeal and comes in a two-tone paint job that makes it appear quite clean. This printer is 16.7" wide, 15.7" deep and 11.5" high. The paper loading tray is located on the front bottom and is easily accessible. In addition, the Lexmark C543DN has a LCD screen that is located in the middle and is paired with a functional, easy to use control panel. One of the pros of the Lexmark C543DN is it is one of the most affordable printers in its class. This printer is also network enabled. This allows it to act as a stand alone print server for multiple computers. In addition, it is capable of duplex printing. This means it is able to print on both sides of a paper without having to flip it over. The only cons to this printer is it is not the fastest on the market. Another potential downside is that the Lexmark C543DN goes through toner rather quickly, but compatible replacements are available at significantly lower prices. You may find yourself purchasing toner quite frequently and the costs can add up. However, for its price it is one of the best laser printers compared to others in its class.